Malaysia's central bank kept its key interest rate at 3.25 percent on Thursday, as expected, while eyeing a slowdown in economic growth and planned public spending cuts by the new government. 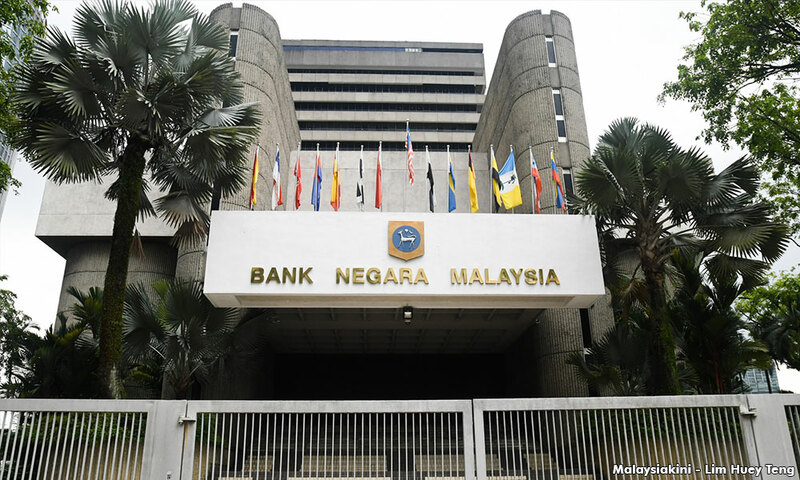 Bank Negara Malaysia said it expects growth to continue to be driven mainly by private consumption, supported by conducive labour market conditions. Private investment will be sustained by capacity expansion in key sectors driven by positive demand and efforts to enhance automation. "Public sector spending, however, is likely to weigh on growth, amid continued reprioritisation of expenditure by the government," the central bank said in a statement. Malaysia last increased its overnight policy rate in January, when it described its first increase since July 2014 as a move to "normalise" monetary policy. That was the first rate change since July 2016, when there was a cut by 25 basis points. The bank's policy statement on Thursday maintained a stable tone. "At the current level of the OPR, the degree of monetary accommodativeness is consistent with the intended policy stance," the central bank said in a statement. Malaysia increased its rate in January for the first time since July 2014, in a bid to "normalise" monetary policy. It was the first rate change since July 2016, when there was a cut by 25 basis points. Presenting the six-month-old government's first budget on Friday, Finance Minister Lim Guan Eng said growth is seen coming in at 4.8 percent this year before improving marginally to 4.9 percent in 2019. The government's 2018 growth forecast was lower than BNM's earlier expectation of 5.0 percent, and far below the 5.5-6.0 percent range projected by the previous administration. In its statement, the central bank said the economy will continue to face downside risks from the trade tensions and prolonged weakness in the mining and agriculture sectors. In May, Prime Minister Dr Mahathir Mohamad led an opposition coalition to a surprise general election victory to end the near decade-long rule of his scandal-tainted predecessor, Najib Razak. The new government has abandoned earlier fiscal deficit targets, forecast slower growth, and has revised up the amount of debt to a total 1 trillion ringgit (US$239.92 billion), having unearthed more debts run up during Najib's time. Bank Negara is unlikely to change its stance until at least mid-2019 as it looks to balance the need to support growth while also staving off any capital flight in the face of ongoing global liquidity tightening and risks from the US-China trade war, said Kristina Fong, an economist with local ratings firm RAM Ratings. "There has to be a continued slowdown, maybe two quarters of sub-4 percent growth before it may warrant some stimulus. Right now, it seems like a comfortable stance for them (Bank Negara) to hold," Fong said. The ringgit lost 3.53 percent against the dollar during the year so far, but it remains one of the better performing emerging market currencies. The central bank said inflation will be low in 2018 and edge upwards in 2019 on higher projected global oil prices and the floating of domestic fuel prices. Headline inflation rose 0.3 percent in September, and was more subdued than expected.